Since our twins are now a month old I figured I’d share a look inside of our nursery today! 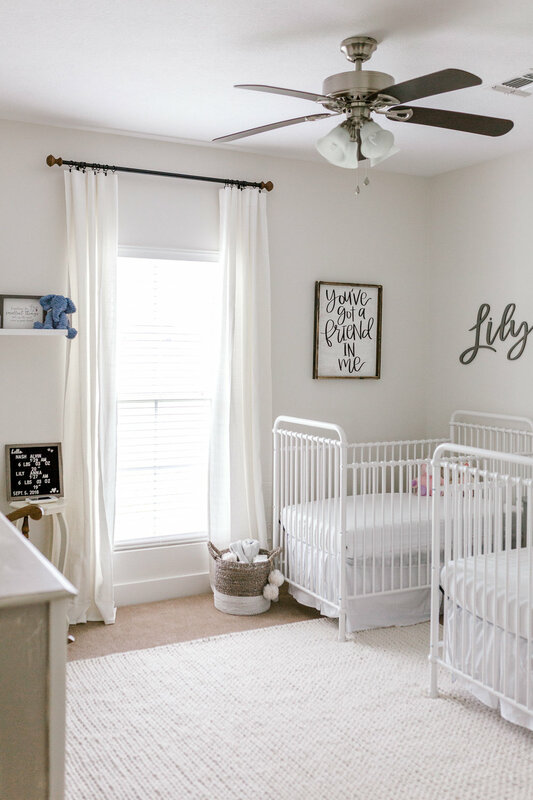 When we found out we were having twins, a boy and a girl, I knew I wanted to do a very clean, light/ airy, and gender neutral nursery for them. I didn’t really want there to be a “theme” to their nursery, but if you know me then you know I love anything vintage and everything Disney! So, I decided to incorporate both into their nursery. 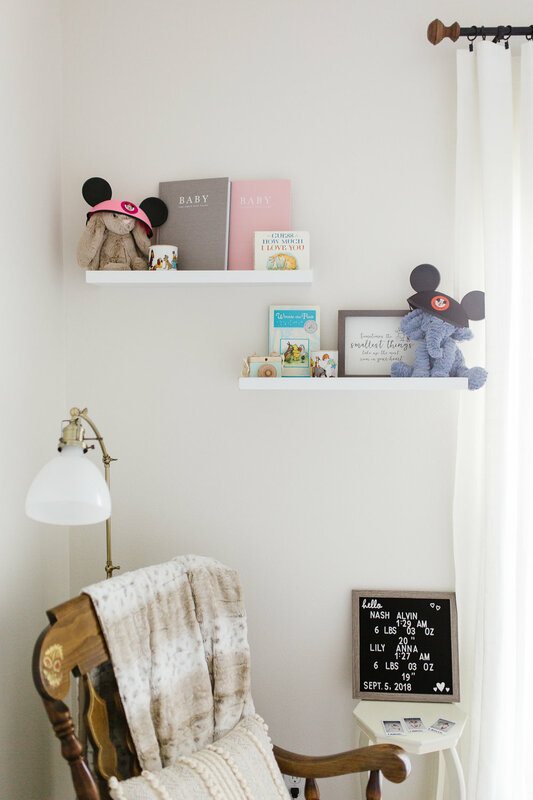 I have always been a very sentimental person, so one of my favorite parts about their nursery are the family items that we have included! The photos above their changing table are some that my dad took while he was at Disney in the 70’s, and also photos of my grandma (who Lily is named after) taken with some of the characters while she vacationed there in the 90’s! 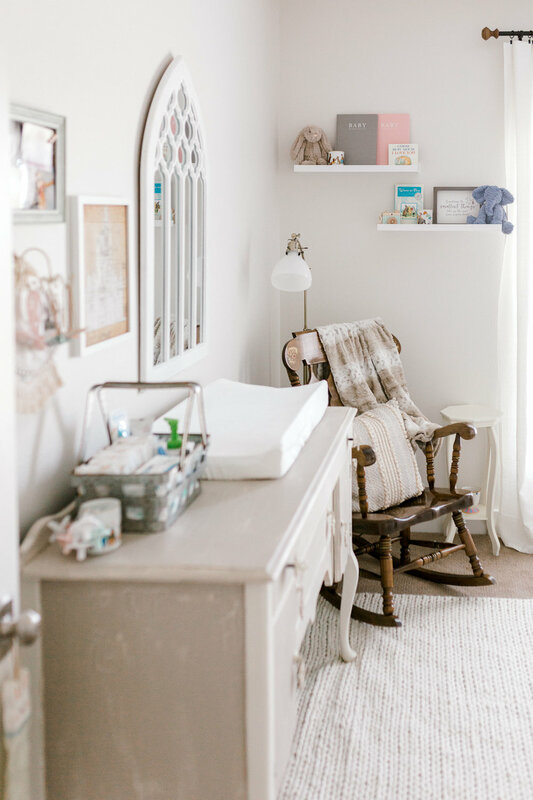 Another special thing that we included into their nursery is the rocking chair that previously belonged to my husbands Pop, who Nash is named after! 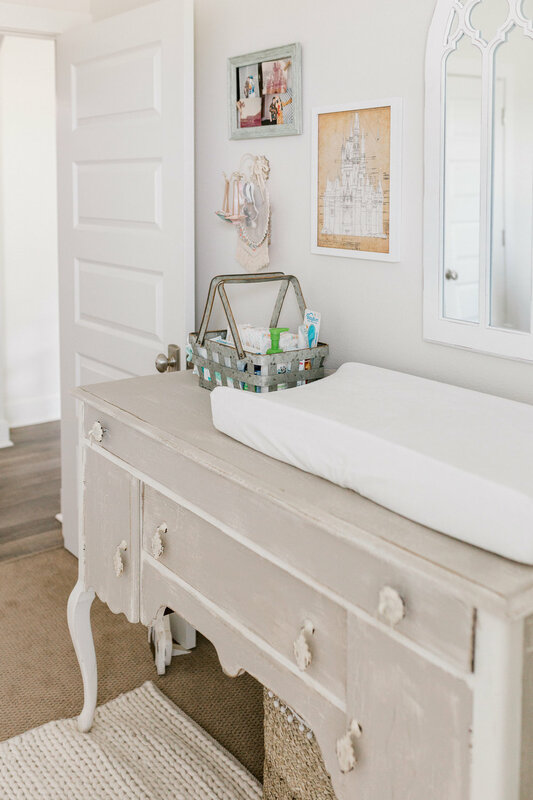 I love that we have little reminders of them incorporated into their room!